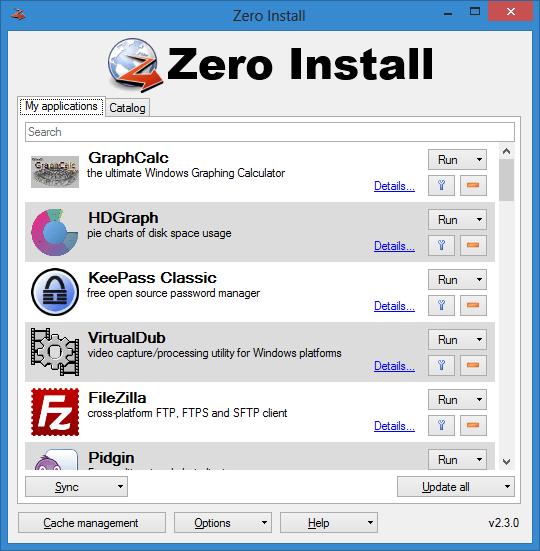 Zero Install is a handy tool as it allows you to download, install and also maintain certain Windows programs. Zero Install is a decentralized cross-platform software installation system that allows software developers to publish programs directly from their own websites. There are two options to using Zero Install, you can either install Zero Install on machine or run it in portable mode from an USB thumb drive. Software catalog includes popular programs like Filezilla and Notepad++ and Zero Install will keep these programs up-to-date. Zero Install also allows you to synchronize your list of programs between machines, but you need either a free 0install.de user account or your own web server.